Google Panda, the single name that is on every bloggers mind, has been trending since 2011. Before we start discussing about it’s impact, we need to know what is Google panda exactly. From one aspect, it is the latest change in search engine results algorithm brought about by Google. This new system has added an extra filter to refine the existing search results. From our second aspect, the consecutive Google Panda updates are designed to reduce the current rankings of low-quality, spam websites and blogs and boost sites that truly deserve to be termed as high-quality sites. This new algorithm update was specifically meant for the low-quality sites that were enjoying the Top Section of their respective keywords or search terms. Since Google is the market leader in the online web search therefore in terms of maintaining their leadership this was a crucial step. Before the Panda came online, a particular search phrase would always include sites that had nothing to do with that search term. 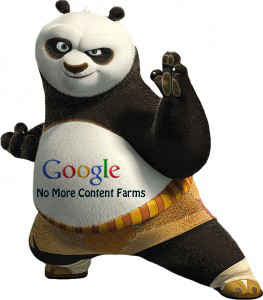 Now after the Google Panda update, sites that had low-quality, useless content have been filtered out and only the content-rich sites are given focus in the Search Engine Results Pages (SERPs). The impact of Google Panda was beyond repair. Websites or Blogs that were created to provide blackhat online marketing tactics were severely slashed. More than million number of websites have been under this impact. 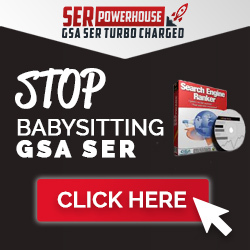 Losing traffic was just the starting trend, once it gathered momentum, the project – PANDA started thwarting these sites to SERPs beyond the 100th mark. Soon after Google had rolled out the Panda, many online forums, websites, including Google’s own webmaster forum, became the target point of complaints from various sections of the webmasters. The complaints was specifically about copyright infringements and scrapers that were getting a boost in their SERP rankings than those sites which were the original host of the real content. Google decided to ask for data collection points that would help them detect scrapers and copiers in a better way. In the series of updates that followed the initial launch of Google Panda, some of the elements used to determine the site’s quality previously was a bit downgraded on the scale of their importance. One such factor is Google PageRank. How will Google Panda be Updated here on? Google Panda has been on roll since February 2011 but it came into effect from April 2011. There has been a series of Google Panda attacks happening. In a recent update by Matt Cutts, Google will be rolling out updates in realtime and therefore there won’t be any exact date or effect metrics being released here on.